Spot Santa is a holiday tradition. 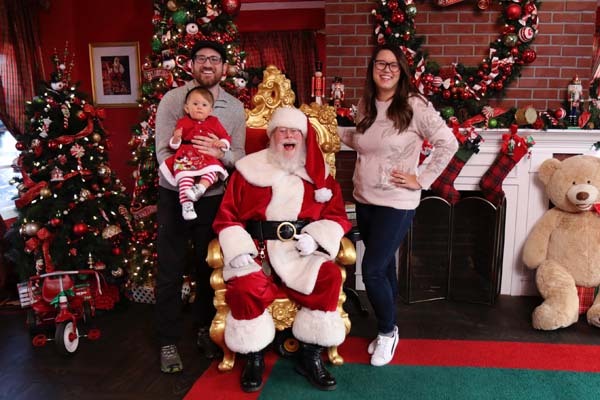 Today, I Spot Santa is run by Pasquale, his wife Autumn and their daughter Vivien. Together they bring to life the website and videos that you watch with the help of Video Elves. Video Elves are magical elves that Santa introduced us to in 2009 when he asked us to start tracking him. These Video Elves are an essential part of I Spot Santa. You can learn more about them by clicking the link below. It is important to help the young at heart to be creative. I Spot Santa encourages them to be their very best in every way. At I Spot Santa we inspire children to do this with stories about sharing and caring for others. When the young at heart create, they grow. That is why I Spot Santa has a collection of kids activities to develop their creativity. Let them create in their own way at their own pace. Our dreams can only become reality with imagination, I Spot Santa is designed to help the young at heart build their imagination and to help others find that imagination spark. We all must believe in something and I Spot Santa believes in the spirit and joy of Christmas. When you believe in Christmas your heart will lead you to the right decisions. Where do you obtain your sightings? We received Santa sightings from all over the world from our highly trained video elves and Santa Spotters. They work year round spreading the spirit and joy of Christmas and helping us find the best spots to spot Santa Claus! What is a video elf? A Video Elf is a retired elf that used to work for Santa Claus. We also have a few elves that used to make cookies in trees. They are hardworking, energetic, holiday filled friends of I Spot Santa . They sleep for 30 minutes a day and eat over 300 lb. of sugar daily. Learn all about our Video Elves HERE. What is a Santa Spotter? Santa Spotters are dedicated individuals that have been hand picked by Santa Claus to represent the spirit and joy of Christmas. 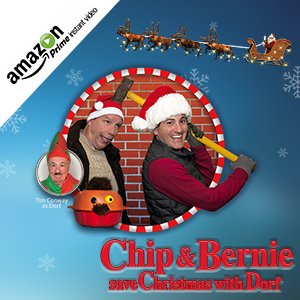 The world’s most famous Santa Spotters are Chip & Bernie because they have helped save Christmas on numerous occasions. 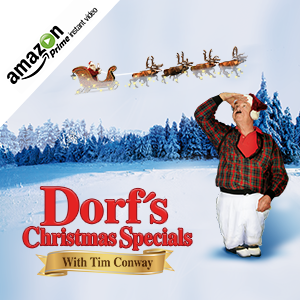 Some Santa Spotters even get promoted to elf status such as Dorf. Learn all about our Santa Spotters HERE. When is the first and last sighting? The day after Thanksgiving our video elves start to fly, drive, sail, walk and even hop to destinations all around the world. Our first Santa sighting arrives December 1st and we continue to get them all the way up to Christmas Day. Check back daily for new sightings. How do you know Santa? Santa Claus is great friends with all of us at I Spot Santa. Especially Pasquale and Autumn Murena the directors of I Spot Santa. In 2009 they were visiting the North Pole to see if it was really made of peppermint candy. Both of them got their tongues stuck to the pole and Santa came to their rescue. After a few nights at Santa’s headquarters they were asked to help spread the spirit and joy of Christmas by Santa himself. Since then they have been tracking Santa Claus at I Spot Santa. And yes, the North Pole is made of yummy peppermint. How can I be a Santa Spotter? We are always looking for the young at heart to help us spot Santa Claus, on our activities page we have given you tools like binoculars and maps to help us spot Santa HERE. It is very hard to spot Santa Claus, so don’t get discouraged if you don’t see him for awhile but if you do spot him let us know. Happy Santa spotting!